Sponsor Info | Press Play. As my blog gains readership, I’d love to be able to help you gain more readers too! I love opening my space to talented bloggers and business owners from around the world, and I hope you’ll take a second to consider a sponsorship on my blog. For now, I am offering sponsor spots on my blog free of charge. 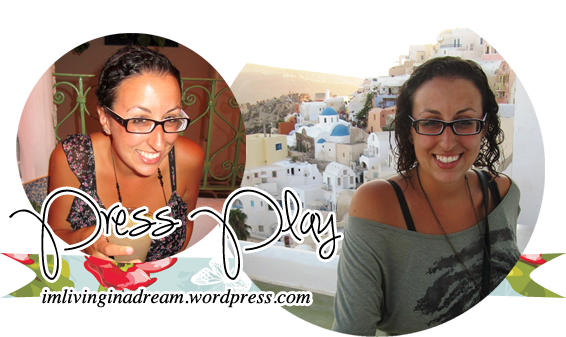 All I ask is that if I put your blog button on my sidebar, you do the same for me! If you aren’t the kind of blogger who likes having advertisements on your blog, I am just as happy to host you and offer you ad space for a small fee of 5$ (five dollars Canadian), payable through PayPal. Paid ad space is for a duration of ONE month, and during this time you will be able to guest post for me if you want, otherwise I will have a little blurb or mention of you on my blog at some point in that month. As a sponsor for my blog, you will have prime space on my sidebar under the ‘Sponsors’ heading, just below my introductory image. If you would like to advertise your personal or professional blog, I am happy to give you some space around here! – Any size blog button on my sidebar for an unlimited duration of time, as long as you are able to have my blog button on your space as well, or promote my blog through a shout-out and/or guest post spot. – The opportunity for a guest post, if you’d like! I am open to swapping blogs for a day (I write for you & you write for me) or simply opening up my blog to you for a day during the week to share some of your work. – If you don’t want to guest blog for me, I will find another way to mention your blog, either through an ‘about me’ blurb or sharing a post of yours that I really enjoy! ALL I ASK in return is that you promote my blog, in one way or another. I have guest posted on numerous blogs in the past which I promote on my blog, and have done several interviews about my blog- I am always looking for new networking opportunities. If you’re interested, feel free to contact me at mliss024@gmail.com and we can work out more details! I am also open to collaborating with companies/brands to write sponsored posts. I have worked with various businesses in the past in the form of giveaways, book-blog tours, and book, CD or product reviews. I am currently studying Business in University with a minor in professional writing, and am happy to discuss freelance writing opportunities, both paid and not. Pingback: Wednesday Things « Press Play. Pingback: Ad Swap in June « Press Play.